…And I hope readers will forgive me for beginning my story with that opening line from Jerry Herman’s very witty, “The Moon Song.” Stealing that line from Mr. Herman’s blockbuster musical, MAME, seems somehow apropos in connection with my tale of yet another theatrical triumph for Broadway musical director, conductor, & member of The Lambs, Don Pippin, along with Broadway veteran & Lambs’ First Lady, Sheila Smith. Readers of the Lambs’ SCRIPT magazine have already learned a great deal about that duo in the last issue’s cover story regarding the wonderful show the pair presented at December’s memorable Shepherd’s Luncheon. 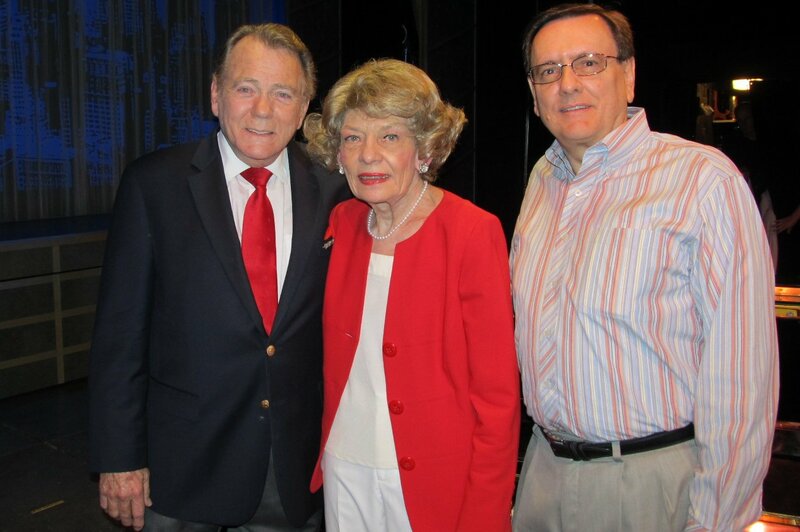 Donald Pippin (left) with Sheila Smith and Goodspeed Musicals Resident Music Director, Michael O’Flaherty. Photo by Diane Sobolewski. 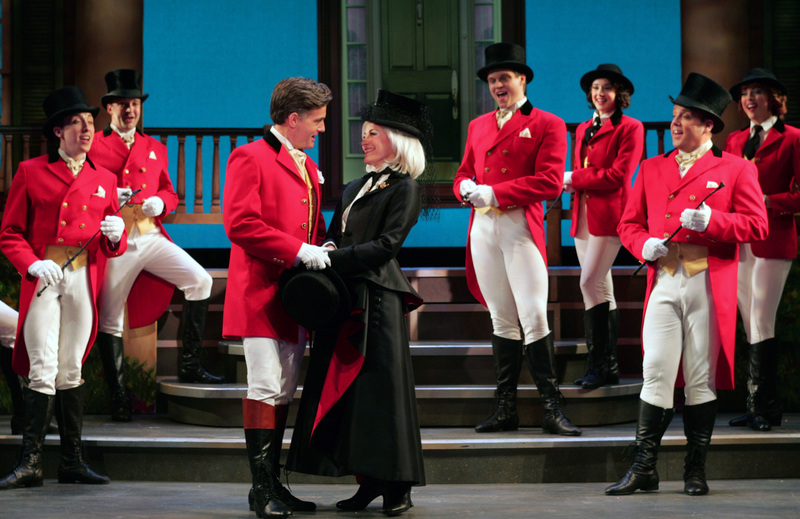 The secret is that now, in the spring of 2012, they have scored another triumph by taking that show privately “on the road” for an especially invited audience at Connecticut’s renowned Goodspeed Opera House, with performance arrangements carefully organized by yet another Lamb, Catherine Ladnier. After missing the December gala while out of town, I was privileged to be in this new audience for what was really a two-day celebration. 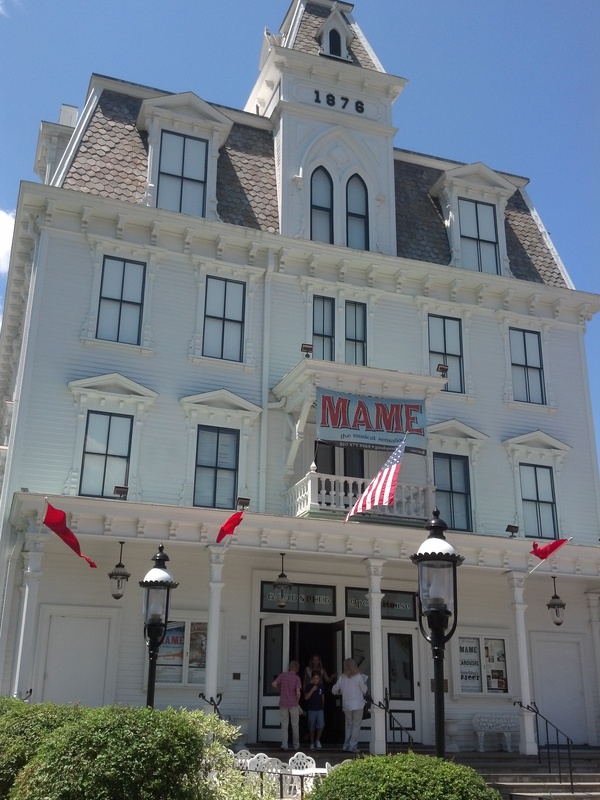 There was a Thursday night performance of Goodspeed’s current wonderful revival of MAME, and then a Friday morning special event for the invited “friends” of the Goodspeed. It was then that Don and Sheila would reprise a newly updated version of the program that had such a successful debut at The Lambs. Before launching into the “Maestro’s Memoirs” program that would celebrate his very successful career on Broadway, Don began that morning by telling the audience just how much he had enjoyed the delightful MAME performance the night before. I would have to second that motion. (Of course Don had a close connection to the original MAME as musical director & vocal arranger.) 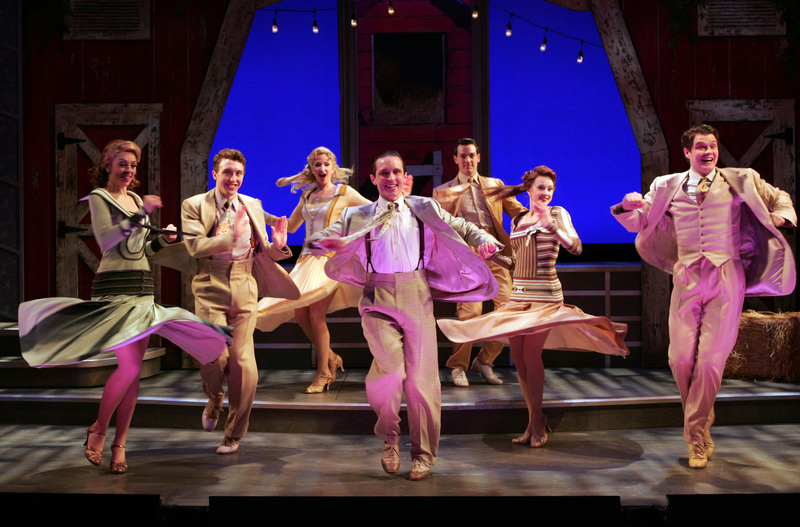 With sparkling direction from Ray Roderick, the Goodspeed revival featured a fine pit orchestra with lush musical direction from Michael O’Flaherty, colorful and eye-popping costumes from designer, Gregg Barnes, and dazzling dancing from choreographer, Vince Pesce and his athletic, high-energy, and vocally talented ensemble. 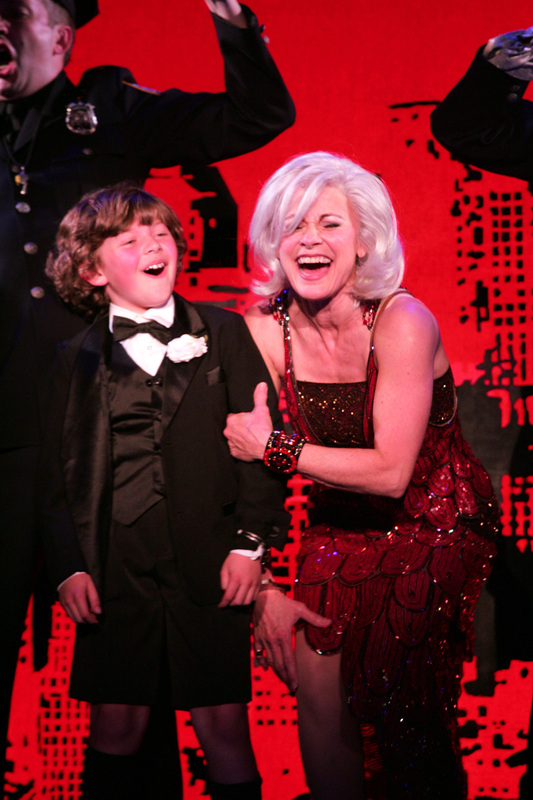 headed up a large cast that included among its delights the scene-stealing songbird, Eli Baker, as young Patrick. 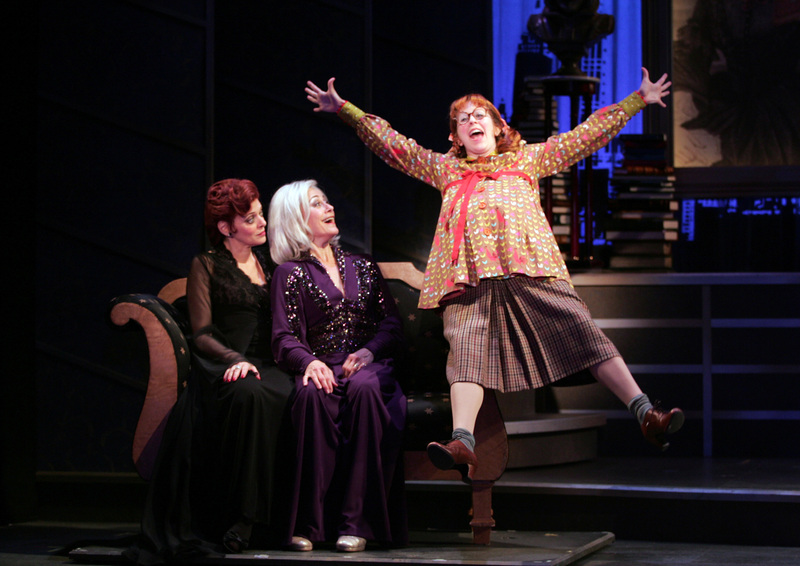 Charles Hagerty would ably take over as the adult Patrick in Act Two. A heavy dose of slapstick notwithstanding, Kirsten Wyatt made a hit with the audience as the very pregnant Agnes Gooch. James Lloyd Reynolds gave us a smoothly elegant Beauregard, James Seol was perky houseboy, Ito, Erin Denman the syrupy Sally Cato, Paul Carlin played the snarling Mr. Babcock, and Denise Lute was the dowdy and dour-faced Mother Burnside. 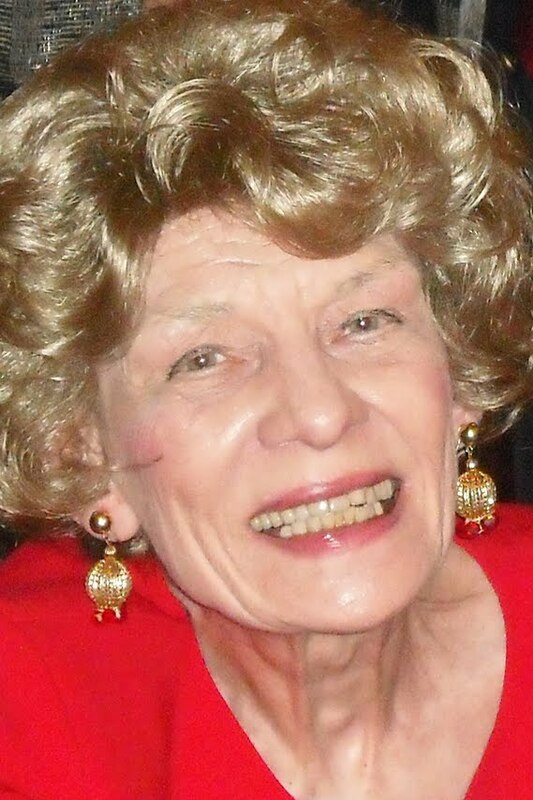 A large cast of other supporting players added to the fun with several in dual roles, and talented Mary Jo McConnell performing three. Tales of Broadway from the Maestro, Don Pippin. Broadway first opened its arms for Don when he won the role of assistant conductor of Irma La Douce from Broadway impresario, David Merrick, whom Don recalled favoring the designation of “Abominable Showman.” The success of Broadway’s Oliver! followed, and it won Don the Tony Award for Musical Direction. 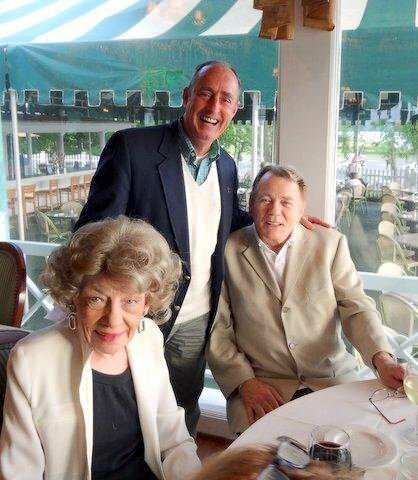 There were Hollywood encounters for Don with stars like Doris Day (who sang Don’s “Hold Me in your Arms” in the film Young at Heart), and Joan Crawford (whose less than stellar, and ultimately unused singing voice was displayed in a rare video Don showed from the filming of Torch Song). And speaking of stars, Don would later meet many more in his role as longtime conductor of the Radio City Music Hall Orchestra. There, he claimed amusingly, he could recognize all dancing Rockettes by looking just at their knees. He even shared another rare film clip of Ginger Rogers dancing in one of the Music Hall’s stage productions. 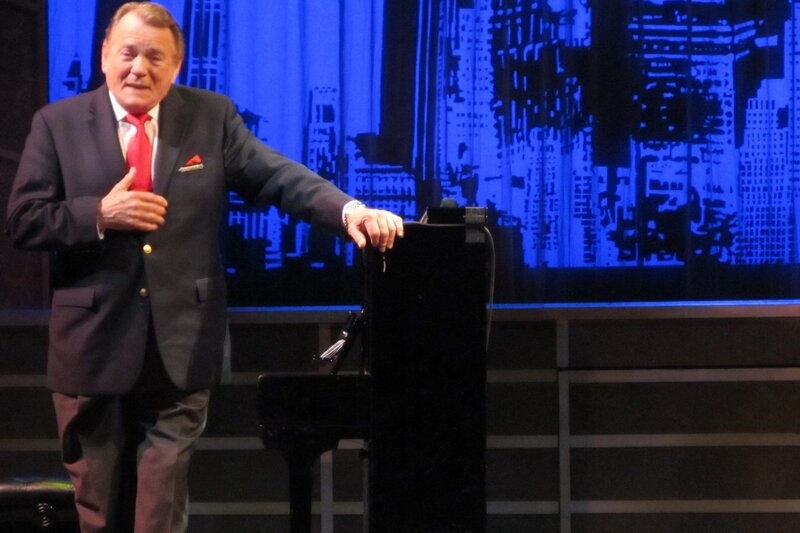 Returning to Broadway, Don told of his early association with Jerry Herman during the show Ben Franklin in Paris. As Don went on to describe his MAME collaboration with Mr. Herman, he explained the luxury he enjoyed as the show’s musical director with the large cast of dancers and singers being chosen separately for their very specific talents. 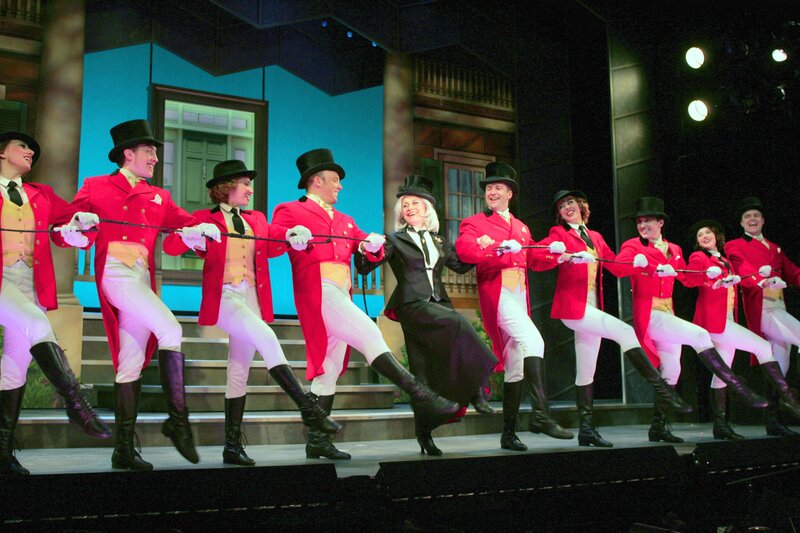 At that point the program took a delightful new direction as Broadway’s Sheila Smith, long associated with MAME herself, was introduced to the audience. Smartly dressed in elegant cream-colored slacks and a gorgeous crimson jacket, Smith shared with the audience not only tales of starring in the show herself (She won the Theatre World Award for her performance in MAME), but she also offered some affectionate memories of first serving as standby to both Beatrice Arthur (as Vera) and Angela Lansbury (as Mame) in the original production. Better still, Smith then hit a clear vocal homerun as she wowed the audience with an adorable performance of “The Moon Song,” that captured all the wit and fun of one of Herman’s most amusing tunes. The audience roared its approval until Smith returned from the wings for a second bow. There was more about Don’s adventures with stories of his meeting Michael Bennett during the run of See Saw, and then moving on to work with Bennett on the groundbreaking musical, A Chorus Line. As he explained Bennett’s insistence that the orchestra pit be kept covered to maintain the audition atmosphere of the piece, Don sang his own original parody of that show’s song, “Nothing.” With repeated choruses of “I saw nothing,” it nicely spoofed his claustrophobic underworld confinement as conductor.” That confinement notwithstanding, the show went on to break the Broadway long-run records of the day. For the gala record-breaking 3,389th performance, Don conducted a specially assembled finale cast of 360 members from A Chorus Line productions around the globe. If there was any way to make his appreciative audience even happier, Don certainly found a good one as Miss Smith returned to the stage, fiddle in hand, and he conducted both her and the audience in a robust sing-a-long of a hit from another of his Broadway successes, La Cage Aux Folles. As the song says, “The best of times is now…,” and judging from the beaming smiles that filled the theater, it appeared the crowd was in full agreement. 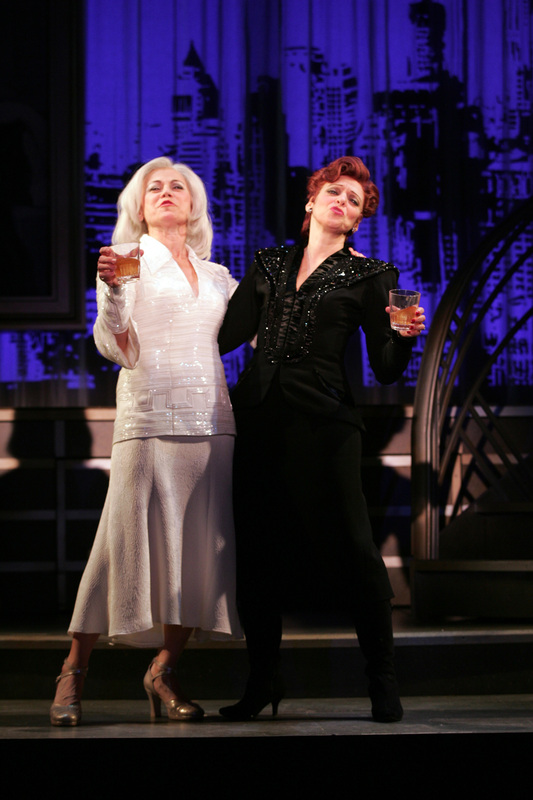 This entry was posted in Broadway, BroadwayStars.com, Theater Reviews, ThePeoplesCritic.com and tagged Broadway, Donald Pippin, Goodspeed Opera House, Mame, Sheila Smith. Bookmark the permalink. Thanks for the review! Sounds like a very special show. Sorry to miss it, but happy to read about it.